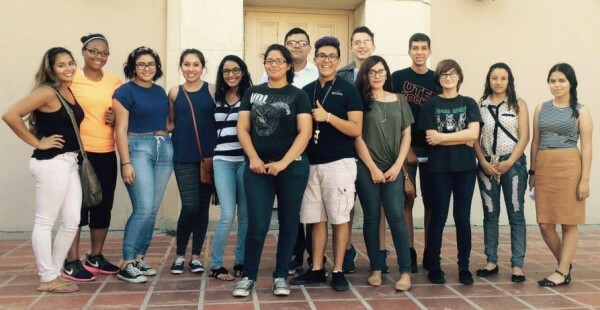 Journalism in July, also known as “JIJ,” is a free summer program that recruits 20 students from high schools in the El Paso-Las Cruces area to train them in the basics of journalism and how to use digital tools to tell stories on the web. During the 7-day residential workshop, high school student participants stay in the UTEP campus dormitories. UTEP faculty and volunteer media professionals teach news reporting and writing as well as video, audio and photography practices. They visit print and broadcast media outlets, and ultimately produce a bilingual, multimedia student web magazine filled with news and enterprise stories and featuring digital photography and video. The program is sponsored by the Dow Jones Newspaper Fund, and Borderzine.com.